It is with great pleasure that we present this Annual Report for 2016. Wanting to highlight the first year of the Centre’s Phase 2, we have chosen a format that hopefully reflects the collaborative and inclusive profile of Mistra Urban Futures’ co-production approach to knowledge and research for sustainable urban development – Realising Just Cities. This is an completely web-based Annual Report. We invite you to scroll down this page to get a range of texts, video clips and images of our activities in 2016, from all our five platforms and the Secretariat. For quicker jumps between parts of the report, please use the links in the menu above. 2016 was a very significant year for Mistra Urban Futures. It was the first year of Phase 2, during which planning the comparative and collaborative research agenda entitled ‘Realising Just Cities’ was initiated, linking all of the Local Interaction Platforms in joint projects. 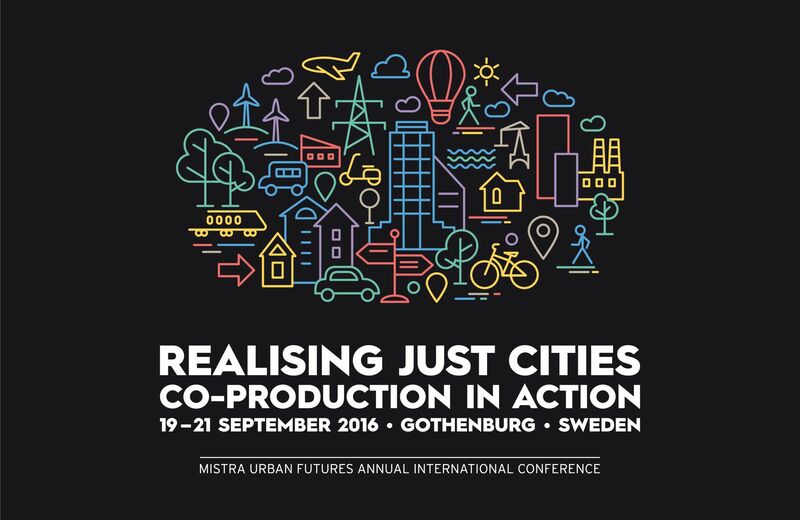 ‘Realising Just Cities’ also became the title of the first Annual International Conference of Mistra Urban Futures, which took place in Gothenburg in September. The conference successfully brought together researchers and practitioners from all platforms, thus embedding our work within the local communities of our platforms. On the global level, Mistra Urban Futures took active part in the development of the Global Sustainable Development Goals, in particular goal 11, the urban goal, and in the process of developing the New Urban Agenda, adopted at the UN-Habitat summit in Quito, Ecuador, in October 2016. 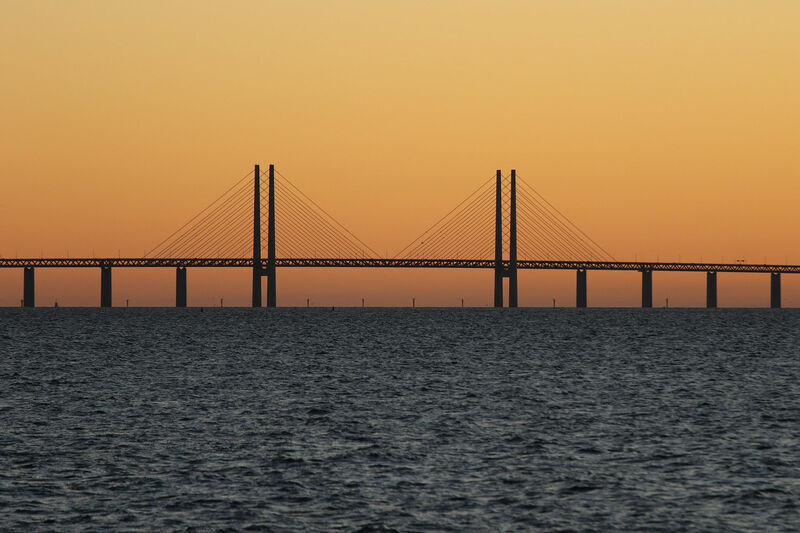 Finally, a fifth Local Interaction Platform was established in 2016 in Malmö, Sweden’s third largest city, including the entire region of Southern Sweden. The universities in Malmö, Lund and Alnarp and the City of Malmö form the basis for the new platform, bringing interesting opportunities to the Mistra Urban Futures community. 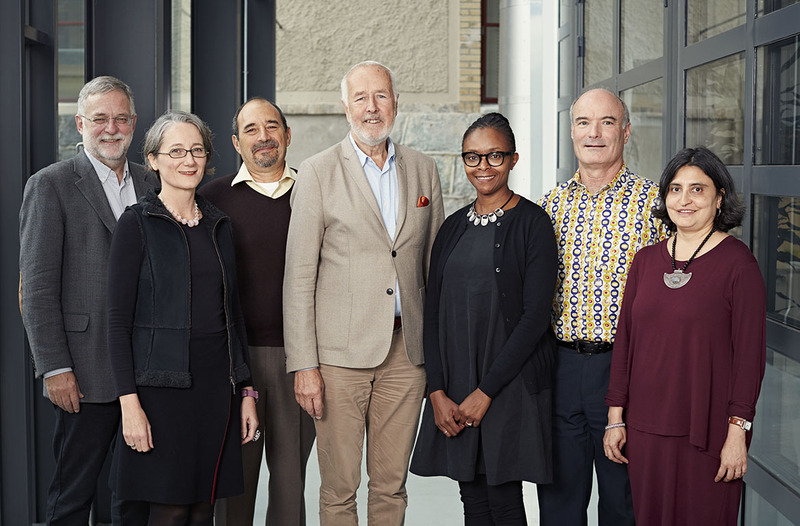 Mistra Urban Futures Phase 2 started in 2016, following a positive mid-term review, and with a partly new board elected for a two-year period. Thomas Rosswall was re-elected as Chair, and other members are highly qualified representatives of the international academic community and business and local government in Sweden. Furthermore, the ex-officio representatives of the main funders, Mistra, Sida and the Gothenburg Consortium and the host of the Centre, Chalmers University of Technology, are invited to all board meetings. A closer collaboration between the three largest Swedish cities has developed over the course of 2016. 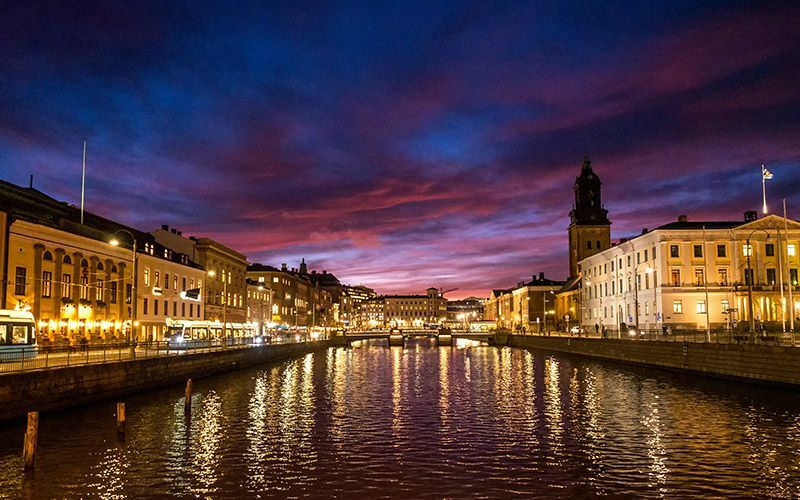 Stockholm, Gothenburg and Malmö, which were initially competing for the original Mistra grant, are now joining forces to create a strong Swedish presence in Mistra Urban Futures. 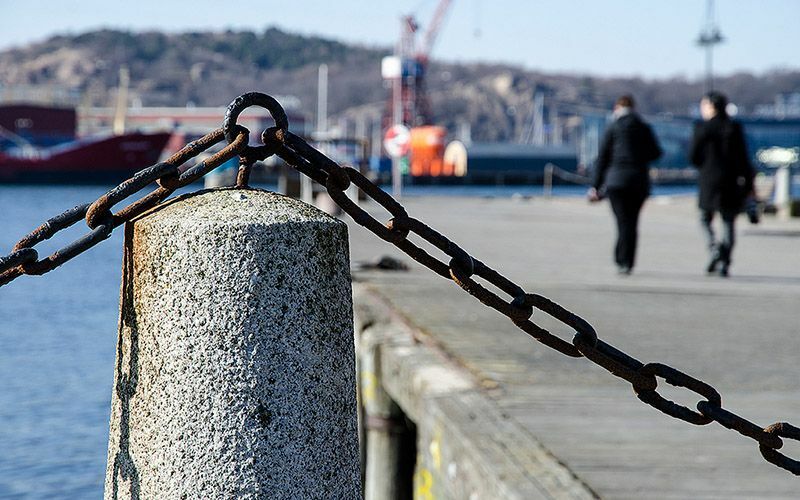 Last spring, the Skåne Local Interaction Platform was established, connected to the new university in Malmö, and now a Stockholm node is prepared to start. From an international perspective, the new collaboration mode is also evident for the existing platforms, which are now working as one programme, rather than four platforms. The New Urban Agenda and the global Sustainable Development Goals offer fantastic opportunities for Mistra Urban Futures to contribute to the implementation of goals and agenda by providing the research necessary for evidence-based policy making. 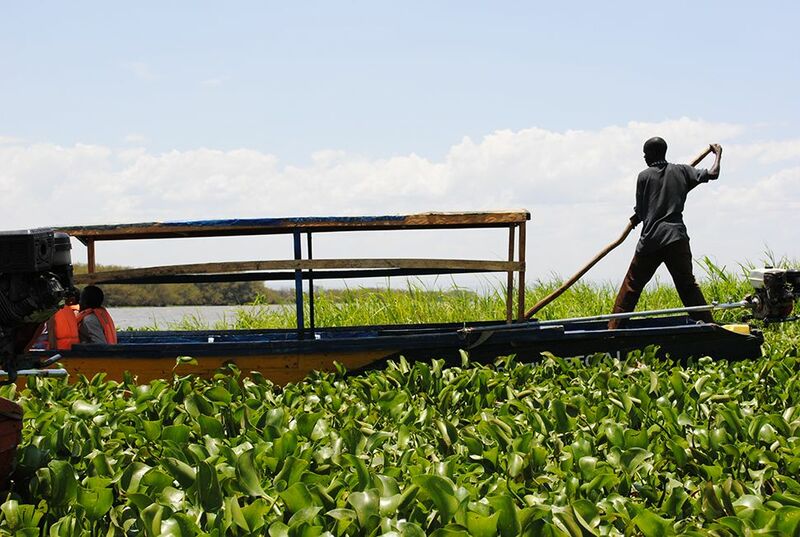 Along the shores of Lake Victoria outside Kisumu, Kenya, people who used to be working in the fishing industry are finding new income opportunities as tour guides and craftspeople. In Manchester, UK, a group of voluntary organisations are working to create new spaces for citizens to engage in governance, participation and social innovations. And in Sweden, the Swedish Transport Administration (Trafikverket) is revisiting its guidelines for the inclusion of urban greenery when planning new infrastructure. These seemingly unrelated events share one characteristic – they are all results of transdisciplinary co-production of new knowledge, with Mistra Urban Futures as the common space for learning, research and development. All of them also reflect the mission of the Centre: ‘To generate and use knowledge for transitions towards sustainable urban futures through reflective co-creation at local and global levels’. The bottom-up approach, where locally-initiated projects and interventions become the basis for co-production and eventually knowledge for policies and research at the national and global levels, is a hallmark of Mistra Urban Futures. Part of the answer to the question ‘What is the Centre doing?’ is ‘How we are doing it’. By creating, forging and building partnerships with local governments and authorities, research, businesses and civil society organisations, Mistra Urban Futures has created an international network of cities for the design of globally relevant comparative and collaborative research projects. The continued work on the Urban Sustainable Development Goal (Global Goal 11) is an example. Transdisciplinary research is by definition carried out not only by academics from different scientific fields but also ‘non-academic researchers’ – from society, public agencies and authorities and others. Researchers and city officials in Cape Town have published co-authored scientific articles based on projects at the Local Interaction Platform there. The academic footprint is an important contribution from Mistra Urban Futures. However, equally significant is that the outcomes of projects are expressed in various ways for different audiences through a range of media – or directly by the people involved. Reports, blogs, presentations, policy briefs and tweets are all examples of interaction opportunities that enable people to engage actively with the outcomes of our work rather than being only passive recipients. This was expressed not least through our first international annual conference, held in Gothenburg in September 2016. Two days of reflections on learning, participation and challenges were followed by a series of workshops, bringing the international community together for the planning and framing of some of the most urgent challenges. The significance of collaboration and comparative work runs through this Annual Report. Nevertheless, for clarity and to visualise the bottom-up approach, the work and achievements are presented through the Local Interaction Platforms – in Cape Town, Kisumu, Sheffield-Manchester, Skåne and Gothenburg. This may well be for the last time – Mistra Urban Futures is heading into the second year of Phase 2, where the joint efforts will be even more visible. And people elsewhere may wish to learn from and apply the strategies for creating new outcome opportunities from Kisumu, forums for governance like in Manchester and take the values of urban greenery into account when planning new infrastructures. In 2016 we were able to expand the footprint of Mistra Urban Futures across two Northern post-industrial city regions of England as the University of Sheffield and the Urban Institute became new hosts of the Local Interaction Platform. 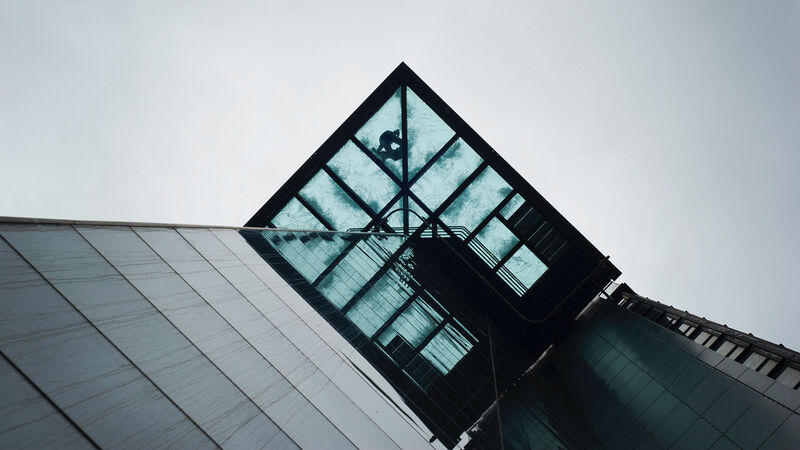 In the UK context, the debates around co-production and how universities and academic research can contribute towards delivering on the aspirations of the New Urban Agenda became of central importance in 2016. Mistra Urban Futures provides a unique opportunity to share lessons and learn with other urban stakeholders across academia, policy and practice, and communities. The University of Sheffield has been able to support the programme in a very substantial way by providing additional co-funding and institutional support anchored through the Urban Institute. 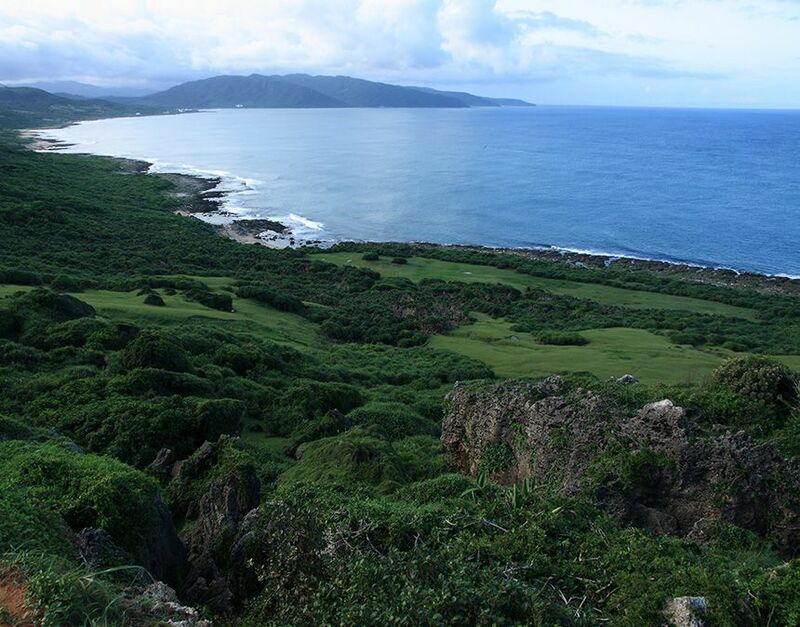 At the same time, it enables the University to add a comparative perspective in both the global North and South. In the UK, people are increasingly recognising that the traditional ways of running and governing city regions are not enabling citizens to have a voice. 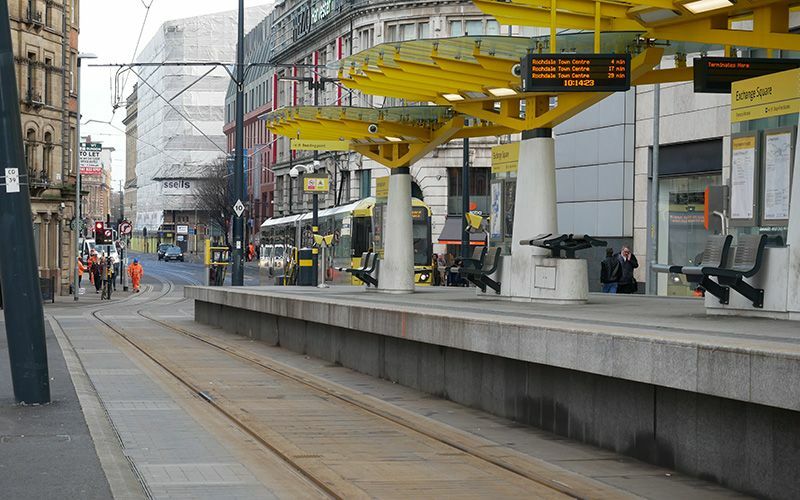 The Sheffield Manchester platform seeks to demonstrate how changing government powers and responsibilities can help foster connections between decision makers and the people. ’Jam and Justice’ is a project at the Sheffield Manchester Local Interaction Platform, born out of an interest in creating different urban spaces to allow social innovation to flourish through participative research and action. In February 2017, a workshop with a number of voluntary and civil society organisations was organised to discuss initiatives for creating new urban governance spaces for participation and social innovations. 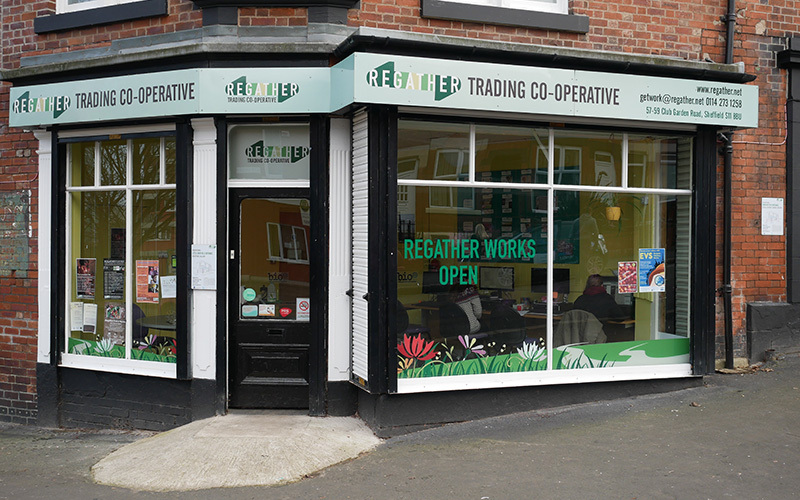 The Sheffield-Manchester Local Interaction Platform has been located at the Urban Institute, in partnership with the Sheffield Methods Institute, at the University of Sheffield since autumn 2016. Professor Beth Perry is the Director of the Platform and a Professorial Fellow in the Urban Institute, and Professor Tim May is Deputy Director of the Sheffield Methods Institute. 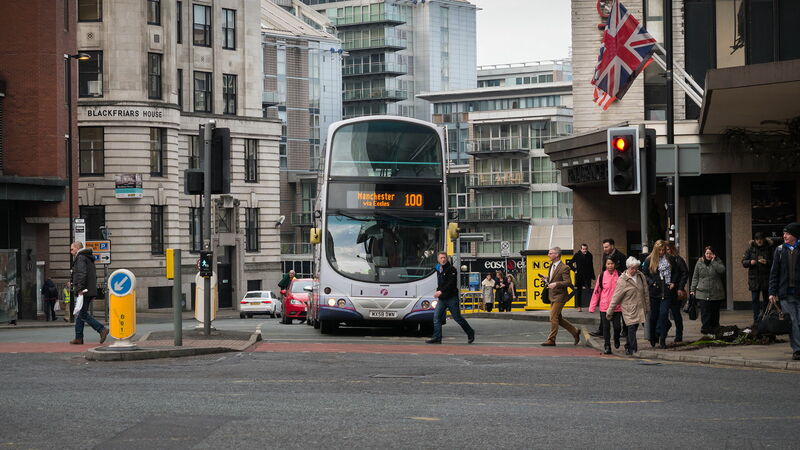 The platform now covers Sheffield and Greater Manchester, both of which are important city regions that are about to change governance structures, following the British national policy of ‘devolution’. 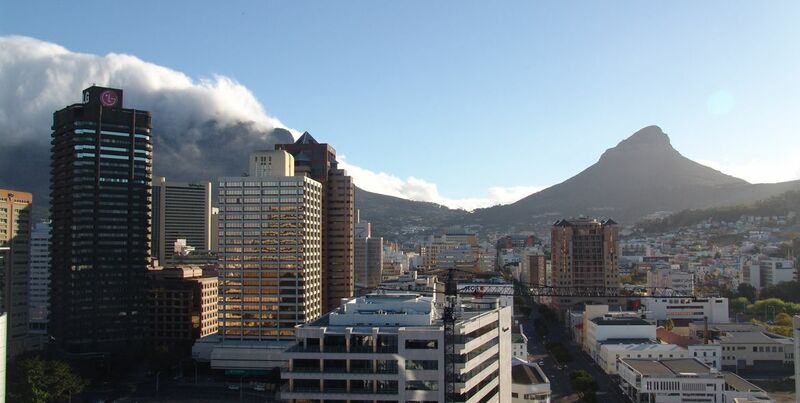 Many millions of people round the world know Cape Town as an idyllic tourist destination. But for tens of thousands of in-migrants who have come to the city recently in search of a better life, the picture is completely different. 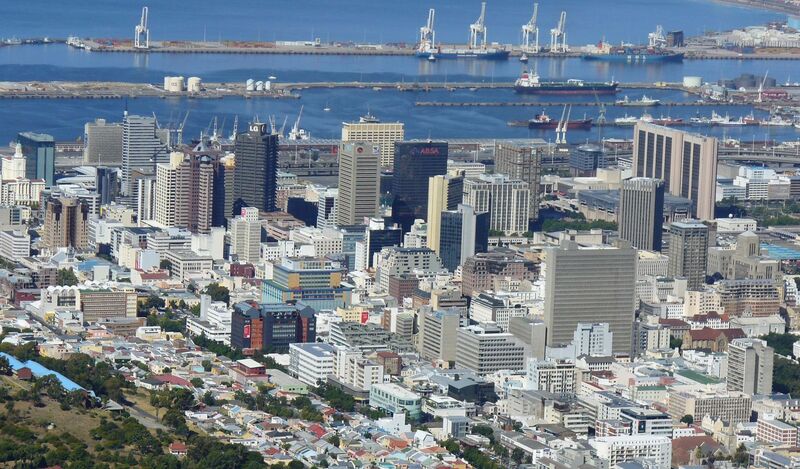 Some two million Capetonians struggle with unemployment, violent streets, food insecurity, harsh weather, poor municipal services, and dangerous and unreliable public transport. Based on the mid-term review of Mistra Urban Futures, it became evident that the Local Interaction Platform in Cape Town needed to focus on socio-spatial transformations. 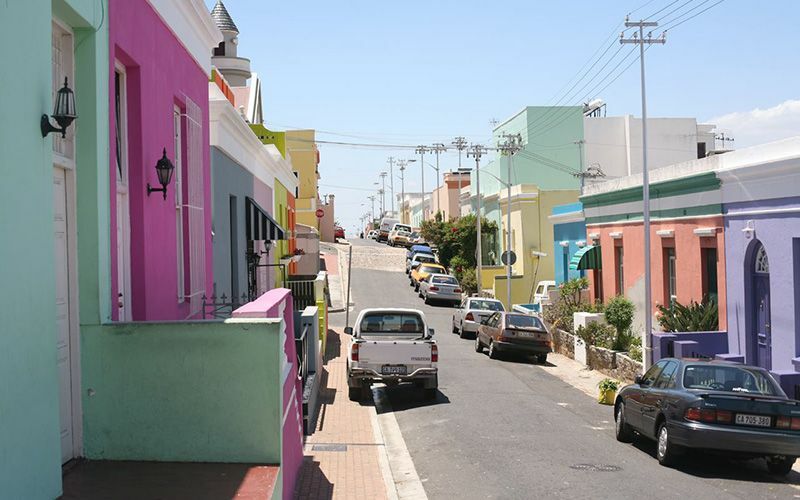 Cape Town is an inequitable city, where the spatial patterns essentially are inherited from the apartheid era. It is still a very segregated city racially and by factors such as income. This is very inefficient, so trying to address socio-spatial transformations is very crucial in a Mistra Urban Futures context. The socio-spatial track will thus be the biggest part of Phase 2 work in Cape Town. 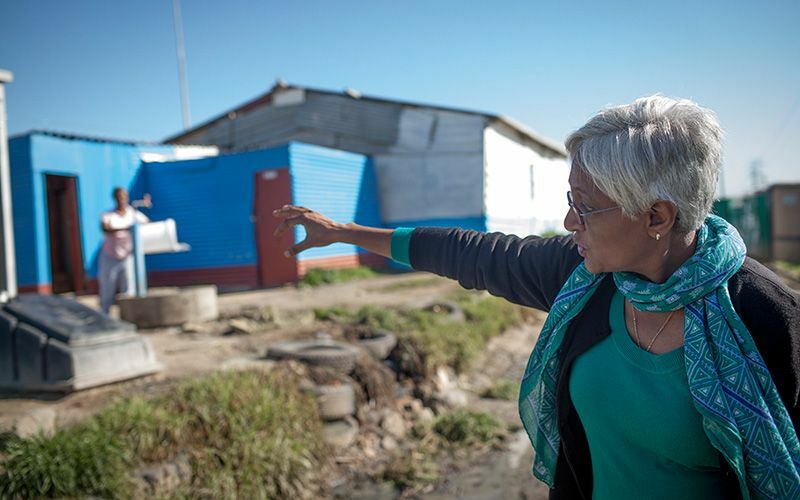 We are trying to better understand the challenges regarding communities’ and citizens’ access to land and how can the initiatives undertaken by the City of Cape Town and the Region of Western Cape be improved. We hope to work with a range of partner organisations to better understand and address those challenges. The CityLab programme was created to facilitate the co-production of policy-relevant knowledge to reduce urban poverty through the engagement of researchers, government officials and civil society. A series of CityLabs have been organised over the past few years, each around a key theme. Currently there are three active: Healthy Cities; Urban Violence, Safety and Governance; and Sustainable Human Settlements. Each CityLab organises meetings and seminars to stimulate engagement, new research and, ultimately, a major new publication. The Cape Town Local Interaction Platform is located at the African Centre for Cities at the University of Cape Town. Dr Warren Smit is the Director of the Platform, with the support of Dr Rike Sitas. The platform is closely connected to the African Centre for Cities, where Professor Edgar Pieterse is the Director. The Skåne Local Interaction Platform is the newest member of the Mistra Urban Futures family. It was established in 2016 and consists of three universities: the University of Malmö, Lund University and the Swedish University of Agricultural Sciences in Alnarp, as well as the City of Malmö. The three universities contribute different strengths to the platform. Lund University is one of the oldest universities in Sweden and well known internationally for excellent research, not least in Sustainable Urban Development. 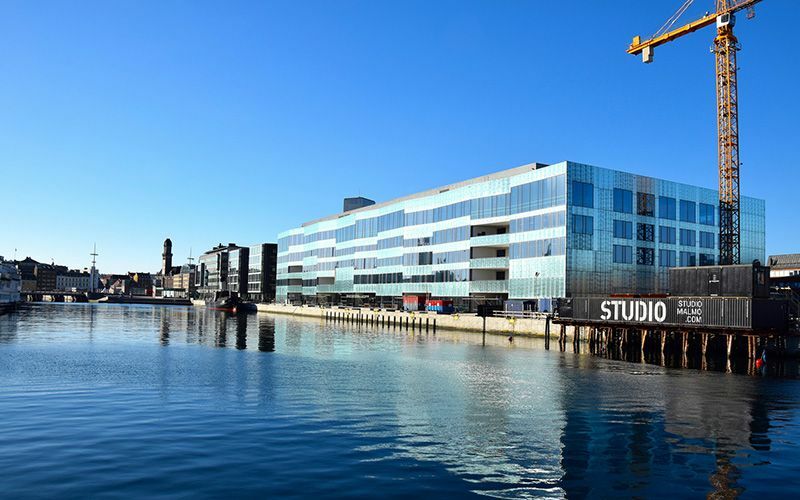 Malmö University was established in 1998 and has worked closely with the City of Malmö with a focus on co-production and social issues such as neighbourhood community development. And the Swedish University of Agricultural Sciences is prominent in ecosystem services and urban development related to green spaces. Augustenborg is a residential area in Malmö, mostly built around 1950 as a ’neighbourhood unit’. Since the late 1990s, Augustenborg has been transformed into a city district with ecological characteristics – where garden roofs, waste handling and biodiversity are important factors. This is also the basis for a scientific anthology, that aims to look at how ecological measures and interventions can have an impact on and strengthen the social sustainability development in Malmö, and to learn more about the good effects and consequences. The Skåne Local Interaction Platform has been hosted by Malmö University since it was established in spring 2016. Dr Magnus Johansson is the Director of the Platform. Lund University and the Swedish University of Agricultural Sciences in Alnarp are parts of the Platform along with the City of Malmö. The partnership is still being formed and new members are expected to become part of the work at the Local Interaction Platform. 2016 was a remarkable year for the Gothenburg Local Interaction Platform. Many of the Centre’s signature projects were finalised, with reports and conferences drawing attention both to co-production as a method and to the actual outcome of the research efforts. Some of them were presented at the Political Week in Almedalen in July. Several of them have had an impact on environmental strategies and policies, in the City as well as in the Region. A range of events were arranged at the Gothenburg Platform during 2016, many of them as parts of the Centre’s event series Urban Lunchtime, Urban Research and Mellanrum for different audience groups. A PhD seminar with Prof Nabeel Hamdi on ‘Why participation?’ was particularly popular. The first doctoral and licentiate theses were presented by Mistra Urban Futures PhD students in 2016, covering fields such as urban food, place branding, citizen participation and planning systems. The Research School plans were further developed, and a first PhD course is planned for autumn 2017. The Research School was initiated by Mistra Urban Futures and intends to provide PhD students with insights and knowledge in sustainability and transdisciplinary work. KAIROS is a transdisciplinary research project focusing on the social dimension of sustainability. The premise of the project is the way in which globalisation, migration and urbanisation characterise our time and place new demands on participation and co-creation. The complex societal problems that come with the on-going societal transformation are embodied and create an impact on a local level. Cities, and their transnational networks, are playing an increasingly important role in facing the demands for sustainable development. At the same time, the rapid pace of urbanisation withits associated growth in income and health inequalities as a consequence, increases the risk of medium-sized cities of developing into arenas of social conflict. Gothenburg is no exception. People’s views of and needs for security, development and justice are important to a society’s development. The implications of these concepts is influenced by the local context, and these concepts are changing in response to the ongoing urban transformation. 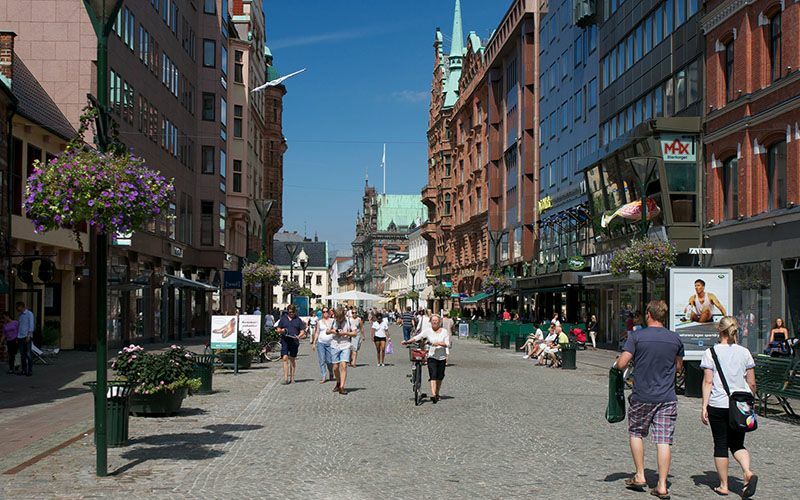 The Gothenburg Local Interaction Platform is by far the largest of the Mistra Urban Futures’ platforms. The Gothenburg Consortium is a very important partner for Mistra Urban Futures, and it is situated in Gothenburg. There is a great deal of engagement and interest in what the Centre is doing with a very supportive atmosphere from the partners and also a great interest and engagement in the further development of the platform and the Centre. Towards the end of the year, Margareta Forsberg was appointed new Platform Director after Mikael Cullberg, and she took up the position in January 2017. During 2016, a team of researchers was set up to collaborate with the City and the private sector on urban change and urban governance. This is generating a lot of exciting results, to the extent that the City of Kisumu and the County now are appreciating the role of the Kisumu Local Interaction Platform as a sort of intellectual capital which they can depend on, for developing policy and for generating new ideas for the development of the city. An innovative and creative idea that came up in 2016 was the quaretrly Roundtable Conference. The Roundtables bring the private sector, the public sector and the informal sector together with academia, the key challenges to discuss urban development issues of common interest. Another important achievement or outcome is the recruitment of PhD students. The Kisumu Local Interaction Platform is thus in the process of putting in place a solid faculty at the Local Interaction Platform that would work hand in hand with the researchers. For the first time post-docs are hired to work with us, and a clear outline for what they will do has been set. The idea here is not only to enhance the scientific output but also to develop strong links with the private sector and the public sector on how research can benefit the citizenry of Kisumu. Participation is a key word for the development of the knowledge and reputation of a particular region, city or nation, and for building the social and cultural capital of that region. This is the key point of a doctoral thesis that was presented in November 2016 by Eva Maria Jernsand at the University of Gothenburg. The field work for the thesis was carried out in Kisumu, in collaboration with local organisations and the PhD students at the Kisumu Local Interaction Platform. 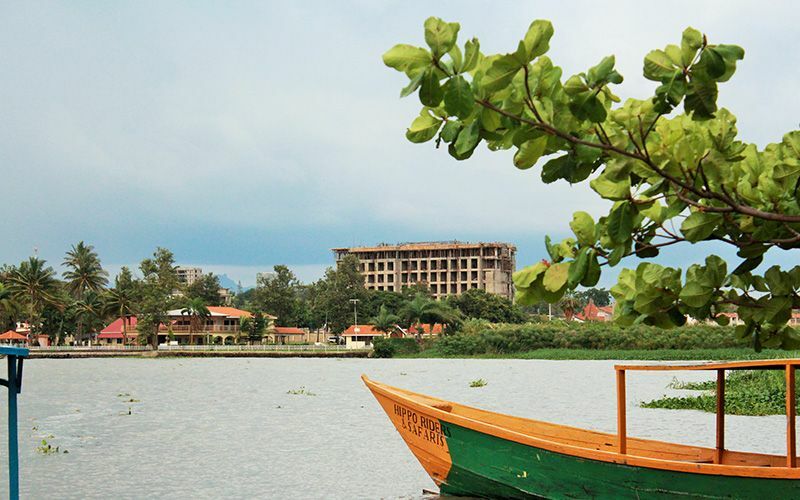 The work resulted in improvements to the tourism services, of waste handling systems and of the signs programme, helping visitors to find their way around the area – in particular the Dunga Beach just outside the city of Kisumu. 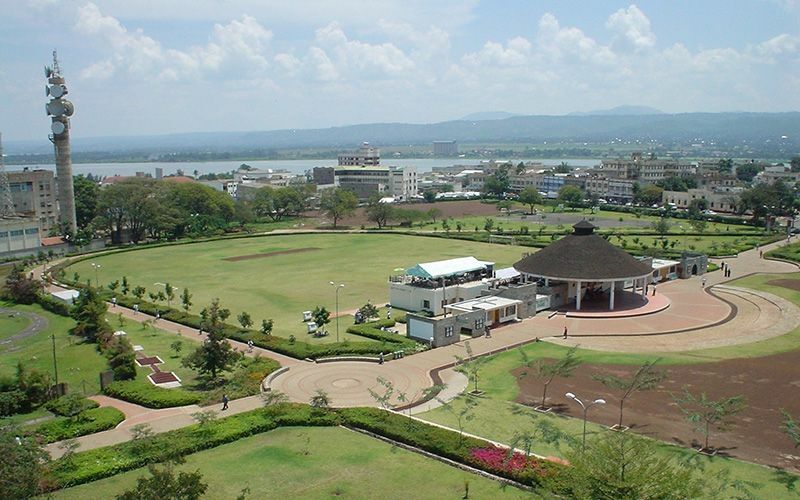 Kisumu in western Kenya, on the shores of Lake Victoria, has a population of around 400,000 and is the third largest city in Kenya as well as the principal city of western Kenya. Rapid urbanisation, environmental degradation and poverty are some of the major challenges Kisumu share with many other intermediate cities. The Kisumu Local Interaction Platform is supported by the KLIP Trust, formed by the two universities Jaramogi Odinga Oginga University for Science and Technology and Maseno University, the City of Kisumu and the private sector. Two focal areas have been ‘Eco-Tourism’ and ‘Market Places’ to develop infrastructure and capacity building for a sustainable development of the city. Challenges include food poverty, water supply and waste handling. The vision of Mistra Urban Futures is about sustainable urbanisation where cities are accessible, fair and green. The research framework of this is entitled ‘Realising Just Cities’. This means that the knowledge we produce and share is supposed to provoke and impact urban development, to contribute to the transformation to more sustainable urban development paths. The very backbone of the methodology is the Local Interaction Platforms, which provide the local context, including stakeholders from public services, society, industry and academy. Through the platforms, bottom-up, collaborative and comparative processes can be initiated and carried out. The co-production work focuses on three key issues for transformation: governance, change, and knowledge, as well as three dimensions: the socio-cultural, the socio-spatial and the socio-ecological. 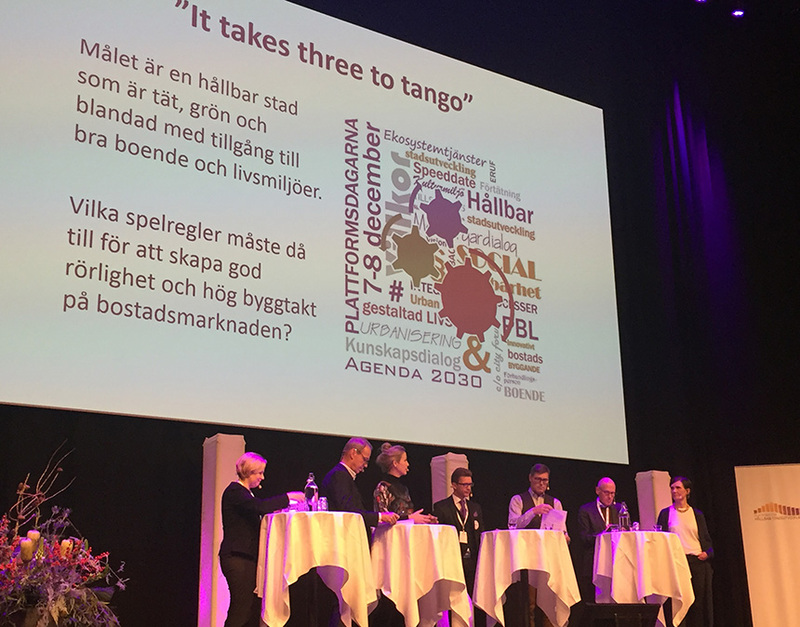 In September 2016, Mistra Urban Futures arranged the First International Annual Conference, in Gothenburg, Sweden, about the ‘Just City’ and how it can be realised. The title of the first conference was ‘Co-Production in Action’, reflecting Mistra Urban Futures’ approach of co-production and transdisciplinary work to address complex societal issues looking at what the future city is about, and what challenges we are tackling today. The conference was organised along the processes that the Centre is working with, the processes on governance, on change and on knowledge, and the different areas called TRACKS. People from different platforms – Cape Town, Kisumu, Skåne, Sheffield Manchester and Gothenburg – could discuss what has been done and what there is to do. Different stakeholders were also brought together; people from the public sector, from civil society together with researchers and academia. There is no simple recipe for that, and different communities ask for different things, but now there is an experience to develop the concept from. It was a two-day conference with an audience of about 200 people. For this conference a pre-conference book was published, for people to bring with them, describing the whole scope of the Centre. 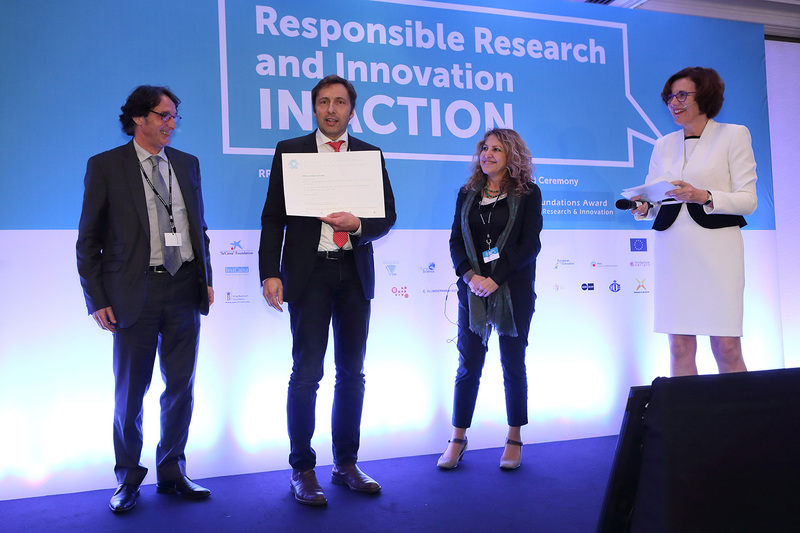 In November 2016, Mistra Urban Futures received the first-ever European Foundations Award for Responsible Research and Innovation. The Centre was found to be an ‘inspirational example’, with a research programme working along the intentions and context of Responsible Research and Innovation. Responsible Research and Innovation, RRI, is the European Union’s concept for research and innovation activities based on citizens’ needs, values and expectations, which forms the basis for the research agenda and funding of the Union. It is also a part of the Commission’s ‘Open Innovation, Open Science, Open to the World’. 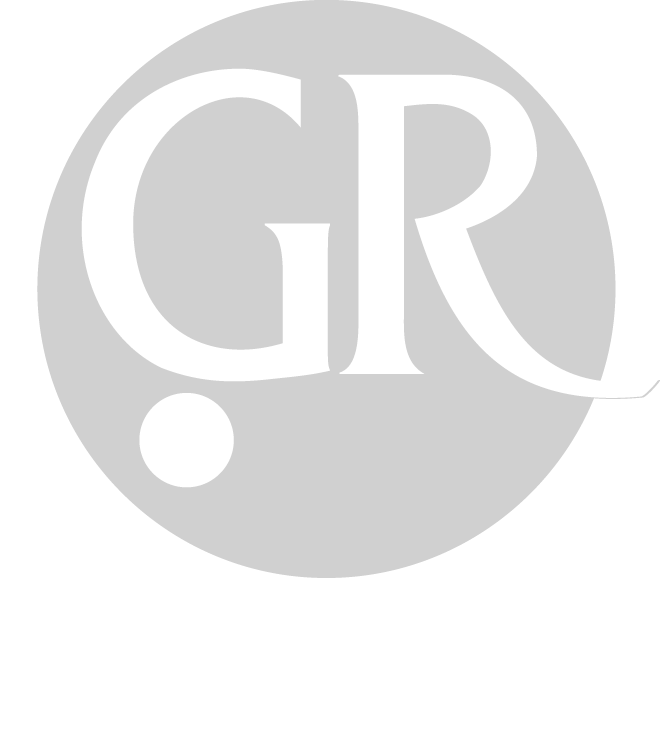 RRI is about inclusion, co-creation, open access, equality, ethics and education. Jan Riise, Manager for Engagement, receiving the award. The Award was presented at a ceremony in Brussels and is funded by a group of some of the most influential foundations for science and research in Europe such as la Caixa in Spain, Lundbeckfonden in Denmark, Bosch Stiftung in Germany, Fondazione Cariplo in Italy and the King Baudouin Foundation. 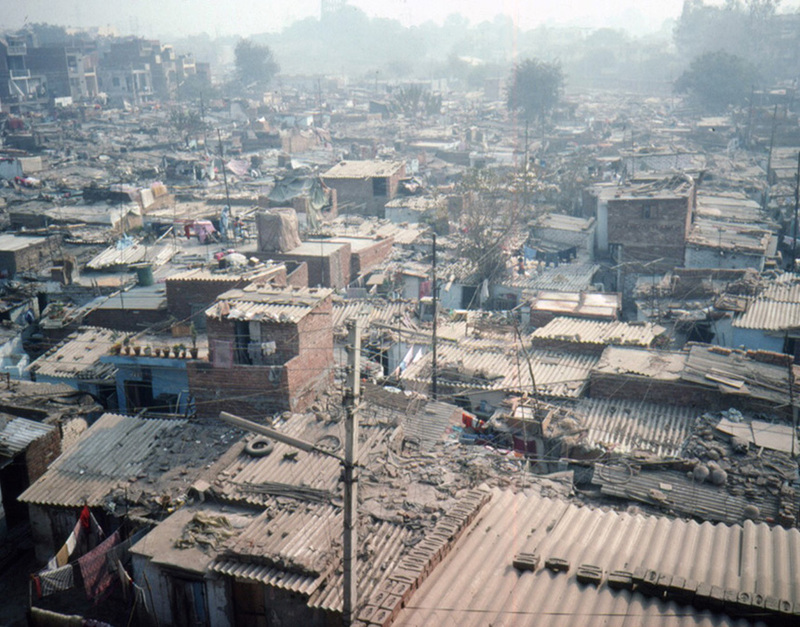 Every 20 years, the UN organises a summit on human settlement and urban issues called Habitat. 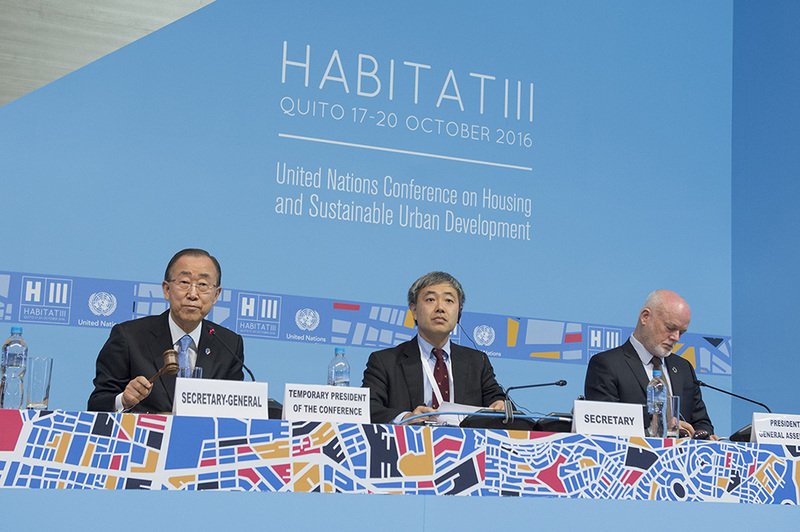 In October 2016 it was time for Habitat III to take place in Quito, Ecuador. At the summit, a New Urban Agenda was adopted, where urban priorities and ambitions for the next two decades are described from a global perspective, thus connecting to the Sustainable Development Goals and the Paris Agreement from December 2015. Secretary-General Ban Ki-moon presides over the opening of the United Nations Conference on Housing and Sustainable Urban Development. Mistra Urban Futures took an active part in the preparations, not least regarding the work on comments and drafts for the final version of the Agenda, emphasising the need for implementation strategies and collaboration including non-nation entities like cities and regions, as well as the need for evidence-based policies and letting the voice of research be heard. The summit attracted some 40,000 delegates to Quito that like Mistra Urban Futures took part in a wide range of side and networking events as well as informal meetings with potential collaboration and research partners. 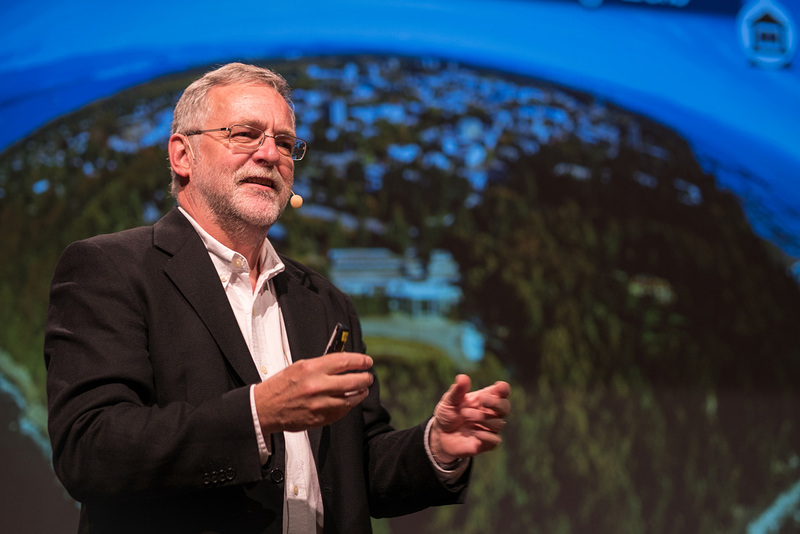 Professor John B Robinson gave the first Mistra Urban Futures Annual Lecture in Gothenburg on 21 September 2016, outlining an agenda for transforming the campus into a living laboratory of sustainability. This would be a place where faculty, staff and students, along with private, public and NGO sector partners, use the university facilities to test, study, teach, apply and share lessons learned, technologies created and policies developed. Several books and book chapters written and edited by Mistra Urban Futures researchers were published during 2016. They provide significant contributions to the knowledge about accessible, fair and green cities. JÖRNMARK, J., FORSEMALM, J. & PALMÅS, K.
Göteborg mellan segregation och kreativitet. Tangent Förlag, Göteborg, 2016. 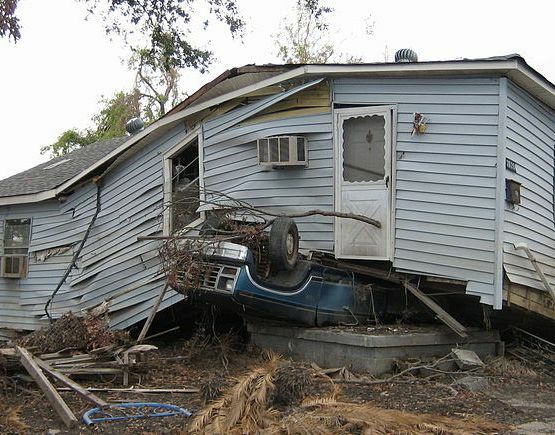 Retrofitting Cities: Priorities, Governance and Experimentation. Routledge, Abingdon, 2016. 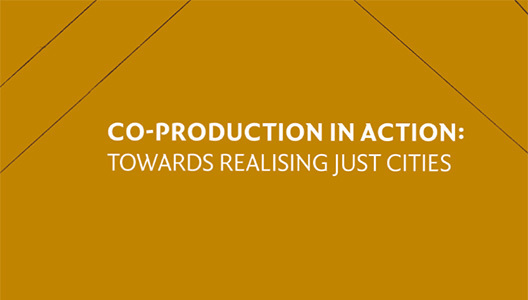 Co-production In Action: Towards Realising Just Cities. Mistra Urban Futures, Gothenburg, 2016. During 2016, scientific articles were published in a range of subjects. 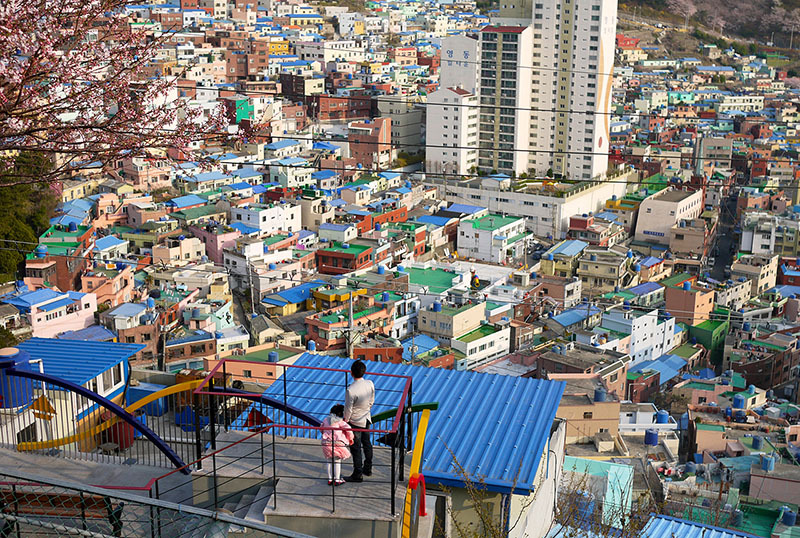 The article on the five-city pilot project regarding targets and indicators for the Urban Sustainable Development Goal, co-authored by researchers at all Platforms, and the comment in Nature published in connection with the Habitat III summit were of particular interest. DAVISON, A., PATEL, Z., & GREYLING, S.
SIMON, D., ARFVIDSSON, H., HANSSON, S., et al. KONARSKA, J., HOLMER, B., LINDBERG, F. & THORSSON, S.
Events are important channels for dissemination as well as for networking and developing projects. Mistra Urban Futures organised or participated in a range of events in 2016. A selection of these are presented below. Increasing urbanisation and the emerging effects of climate change is creating challenges on a global scale that calls for a new resilient infrastructure, Professor Nancy Grimm from Arizone State University gave a presentation on this topic. KAIROS, the project concerning approaches to fair and socially sustainable cities, held its final conference with more than 300 participants in August. A series of open lectures in 2016 included a well-received presentation by Professor Nabeel Hamdi, Oxford Brooks University, entitled ‘Why participation?’. Another significant conference was the one organised by the project for Sustainable Lifestyles. The City of Gothenburg and Mistra Urban Futures arranged this conference in collaboration with the Swedish Environmental Protection Agency, within 10YFP, the United Nations’ framework for sustainable consumtion and production. The first in a new series of centre-based seminars was initiated in November with Professor Graham Hassal from Victoria University of Wellington, New Zealand, as our first guest speaker. Professor Hassal shared his experience of the challenges faced by local government in the Pacific Islands and how this ties into SDG 11 (Sustainability Goal 11). 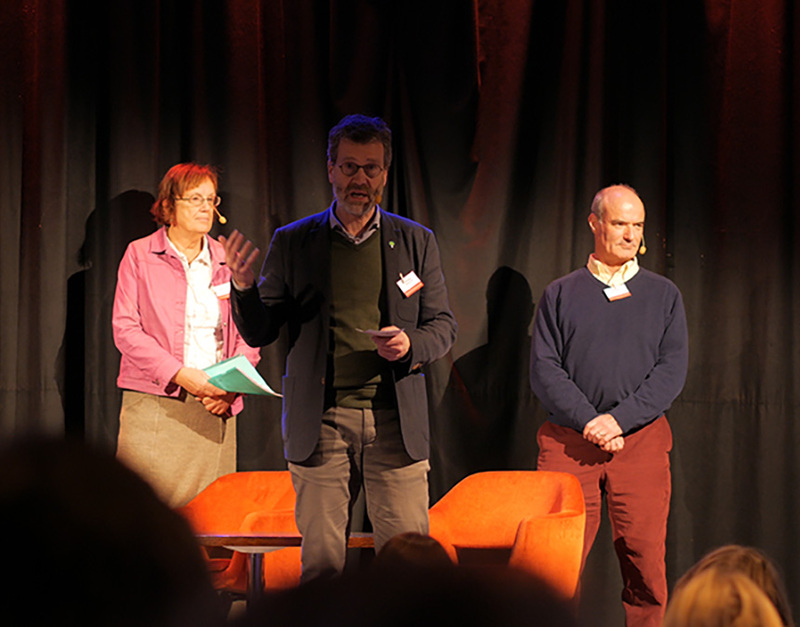 And finally, in December, Mistra Urban Futures took part in the national event ‘Plattformsdagarna’ in Sweden. 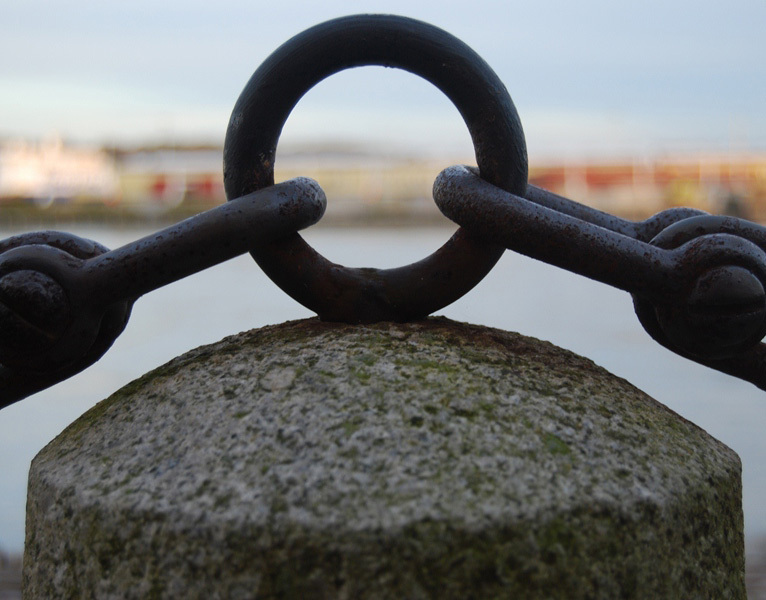 Mistra and the Gothenburg Consortium provide the core funding to the Centre, which finances the Secretariat, management of each Local Interaction Platform and a large part of the research. The Sida funding has been used for activities related to poverty alleviation, mainly in Africa. The expenditures in 2016 were lower than budgeted due to commitments that for various reasons were postponed or delayed, such as employments, project starts and integration of new platforms. The resulting surplus in the income statement 2016 will be put forward to 2017, 2018 and 2019. Professor at the Munk School of Global Affairs and the School of Environment at the University of Toronto. Principal researcher and Deputy Director at the Institute of Social Sciences at the University of Lisbon. Vice Chair. Professor at the Department of Urban and Environmental Studies, El Colegio de la Frontera Norte. Chair. Former Executive Director, International Council for Science, and former Rector, Swedish University of Agricultural Sciences (SLU). Visiting Researcher at the School of Architecture and Planning at the University of the Witwatersrand, Johannesburg. Director of Mistra Urban Futures and Professor of Development Geography, Royal Holloway, University of London. Professorial Research Fellow at the Institute of Development Studies at the University of Sussex, UK. Senior Vice President for Business Development within Corporate Strategy at the Volvo Group. Want to keep up with Mistra Urban Futures and our work? Mistra Urban Futures strives towards Realising Just Cities which are Accessible, Green and Fair. 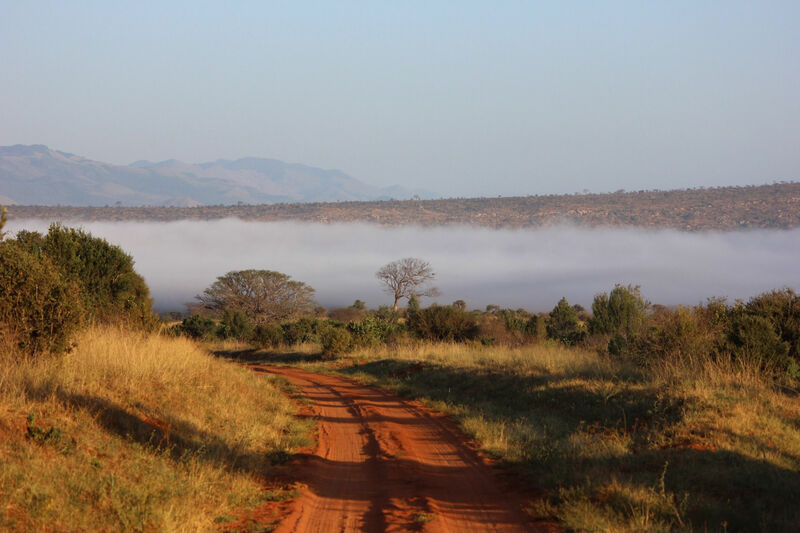 This is achieved through transdisciplinary co-production and comparative urban research at Local Interaction Platforms in Cape Town, Gothenburg, Kisumu, Sheffield -Manchester and Skåne.